Mr. Julian Chu (朱殿蓉) has been actively providing community services in the Washington Metropolitan area for over 30 years. He served on the Board of Directors of the Chinese Culture and Community Service Center and initiated many clubs, programs, and activities to provide a wide range of services to enhance the quality of life and well-being of Chinese Americans. He is a renowned master of Yang-style Tai Chi Chuan, and has taught thousands of students of the traditional Tai Chi Chuan in Maryland, Virginia, and other States for more than 3 decades. Mr. Julian Chu (朱殿蓉) currently serves as the National Program Manager of U.S. Department of Defense’s Formerly Used Defense Sites Program, which is a $20 billion program with an annual budget of $250 million and with 500 Federal employees plus thousands of contractors. He has had 43 years of management and leadership experience with U.S Federal governments, and has received a number of special awards including the Meritorious Civilian Service Award, Superior Civilian Service Award, and Commander's Award. Mr. Chu has been actively serving local communities in the Great Washington, D.C. area for over 30 years. For instance, he served on the Board of Directors of the Chinese Culture and Community Service Center (CCACC) for 17 years, and was the elected President of CCACC for two years. At this largest non-profit and non-partisan Chinese American organization in the Washington Metropolitan area, Mr. Chu initiated several special community service programs including the Tai Chi Push Hands Club to promote traditional Tai Chi Chuan and the Citizenship Group to bring professionals and trained volunteers together providing naturalization assistance to over 2,000 residents. Mr. Chu currently serves as executive secretary of the Phi Lambda Fraternity to help carry out its legacy for the well-being of people of Chinese descent and for the fraternal love among all members. Another noticeable accomplishment of Mr. Chu, who is a renowned sixth-generation master of Yang-style Tai Chi Chuan, is his pioneering endeavors in promoting this Chinese martial art for both health enhancement and self-defense to the community at large for over 35 years. Mr. Chu has taught thousands of students of traditional Tai Chi Chuan including solo forms, weapons (sword, saber, and staff) and push-hands. 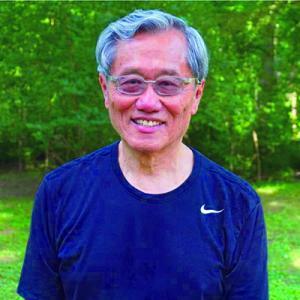 He has been devoting all his spare time every Sunday for over 35 years in helping students from Maryland, Virginia, and other States learn the essence of traditional Tai Chi Chuan. He has published many professional articles in the Tai Chi Churn journals, and has organized Tai Chi workshops and festivals annually with hundreds of participants at each event. Mr. Chu was named as the Grand Instructor of the Year by the U.S. Taijiquan Enthusiasts Organization.